The T Series, T50 and T60, will keep their existing model names. A new Sealine brochure is now available as a CD or download and the Sealine website is being updated to reflect the changes. I’ve found some more pictures to share and a couple of these will need to be identified if you can. 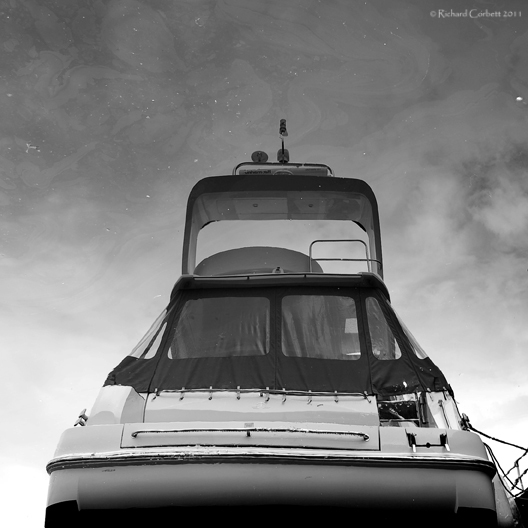 So, who figured out that the mystery Sealine in Images – Oct ’12 was an SC42? 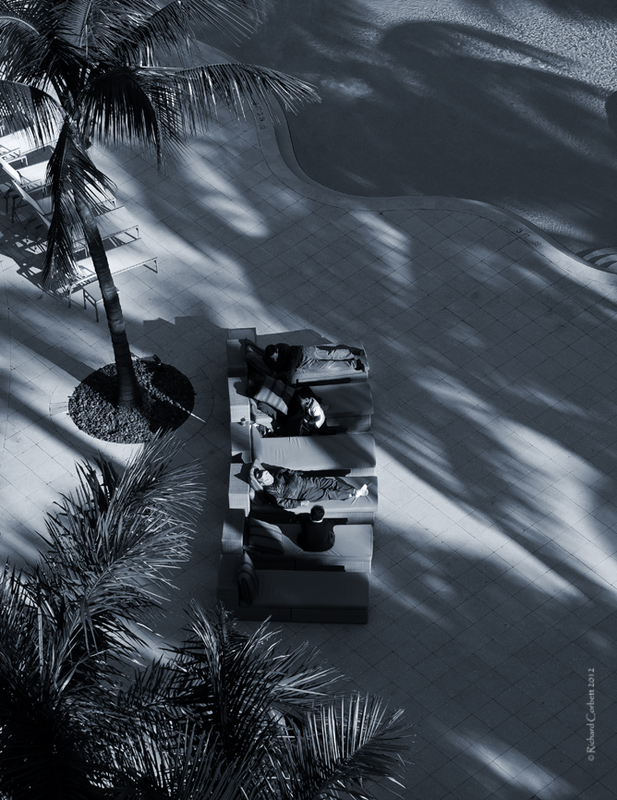 Another little tester for you – where was this shot taken? The fact that the boats are moored up ‘stern-to’ is a good clue!! Some self indulgence now. 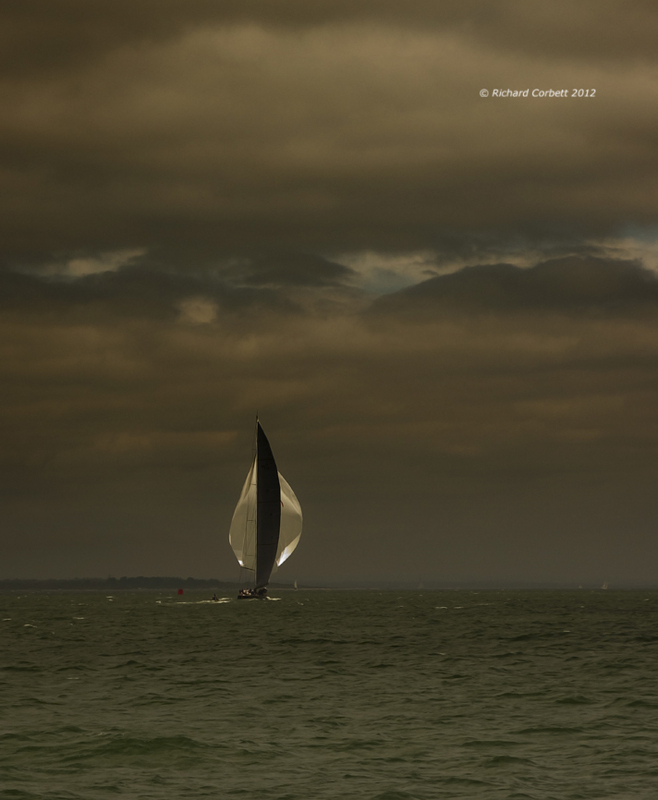 I took this shot last summer in the Solent. She’s one of the J-class yachts practising before the race the following day. … and here’s a RIB making it’s way up the Hamble River. If you don’t recognise this part of the Hamble, that’s because it’s North of the motorway!! If you have any boat pics, unusual boats or point of view, any partial shots that we could use for the mystery boat shot or just shots of you and the crew out on your boat, then let me know and I’ll post them on the Blog. Fantastic! 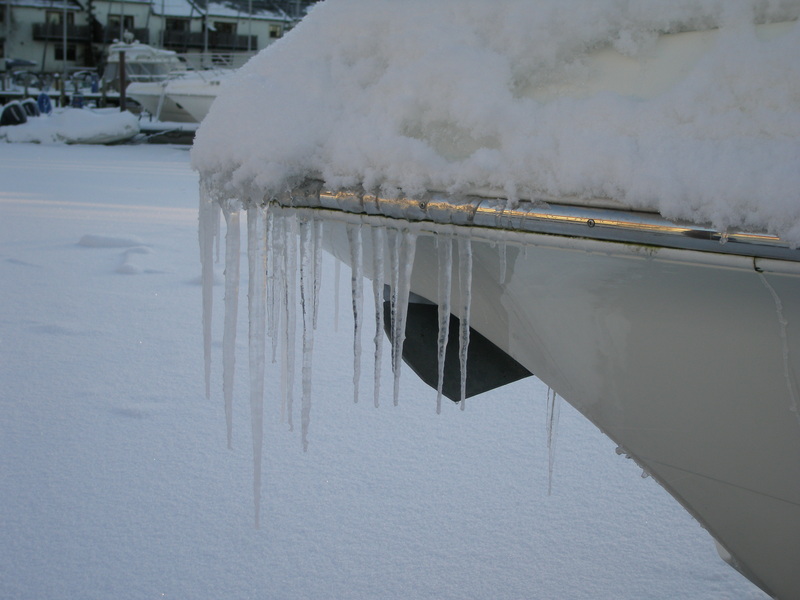 Dan from Windermere Marina in Cumbria (https://twitter.com/DanTheMarinaMan) has sent me two shots of boats covered in snow – thanks Dan! 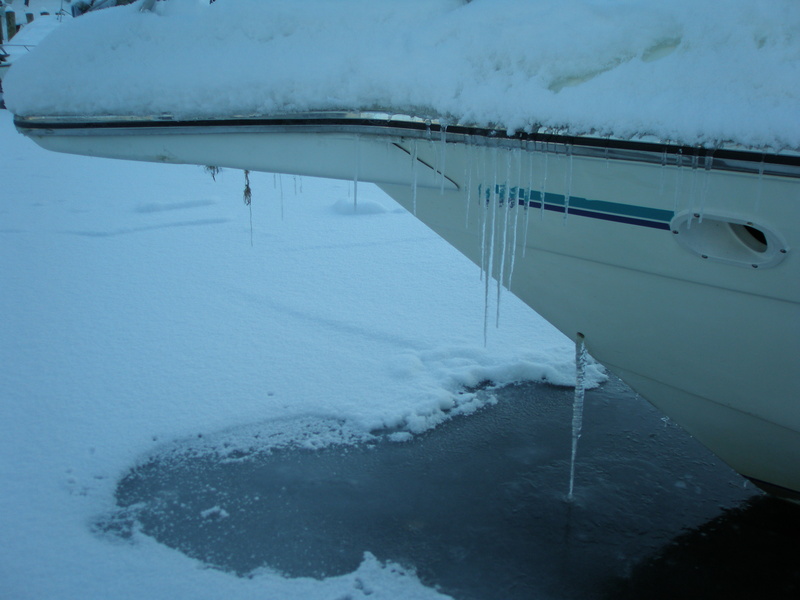 The water coming out of the anchor locker drain has frozen and attached itself to the lake – crazy! Just a quick note to say that I am going to be at LIBS between Friday and Sunday. 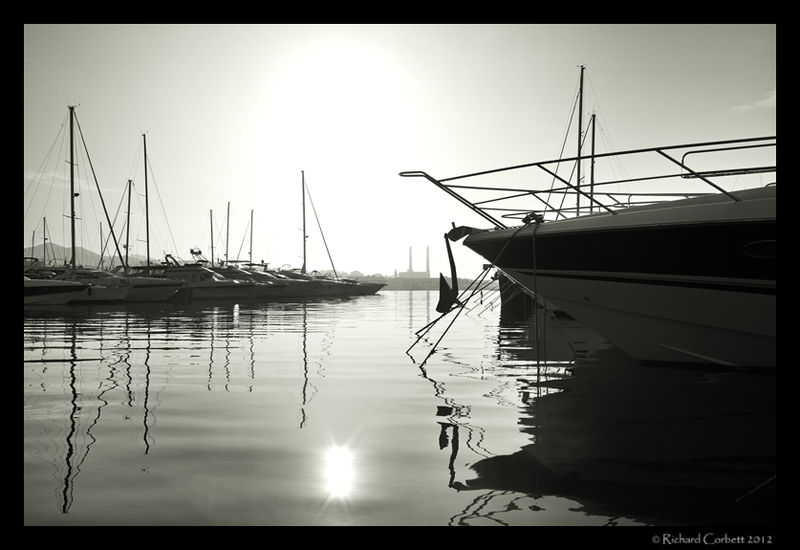 Drop by the Sealine stand (A250-6) if you want to let me know what you think of the Blog or even just to say hello. Don’t forget to come along to the Sealine South Coast demonstration weekend at the Hamble Point Marina near Southampton on 26/27th January. Also, don’t forget to let me know if you have anything interesting you’d like to share with the other followers. Merry Christmas and a prosperous New Year for all my faithful followers. I haven’t had time to share all my adventures from 2012 with you yet, so next year I will be bringing you more of my adventures from 2012 and I will be continuing to share my Skipper’s Tips with you. All the best for 2013, let’s hope it’s a great year for us all. 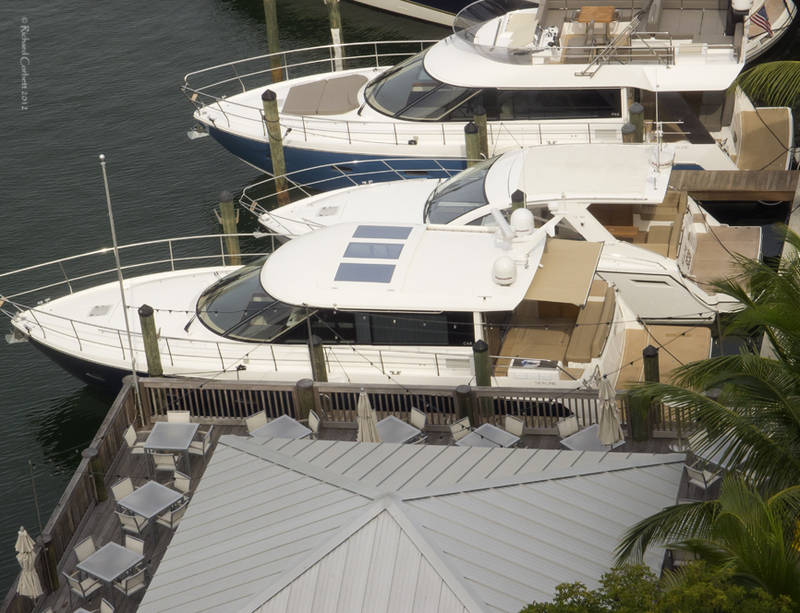 I’m in Florida at the moment as we have some more guys from the world press looking at our latest models. 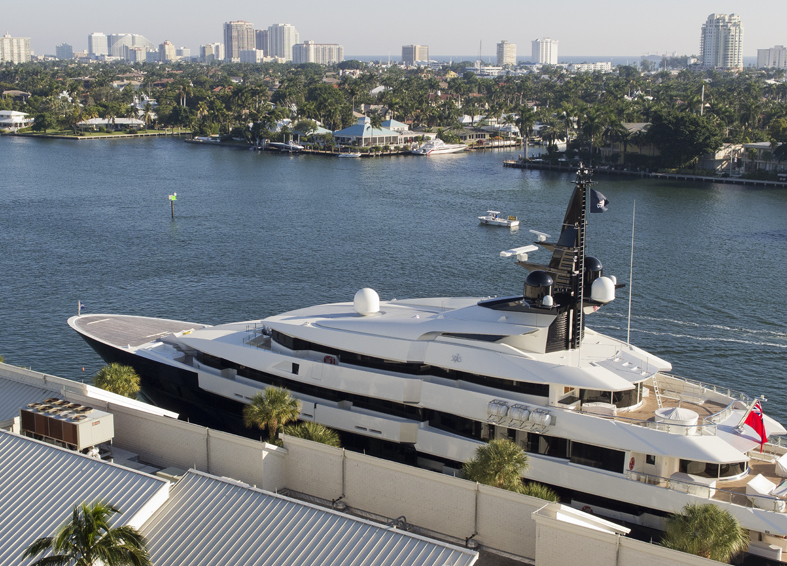 We’ve been in and out of Port Everglades in Fort Lauderdale with the F48 (keep an eye out for the Grand East Coast Tour adventure, which will be coming soon), the fabulous and definitely my personal favourite C48 and the SC38 (US version of the hugely popular SC35). 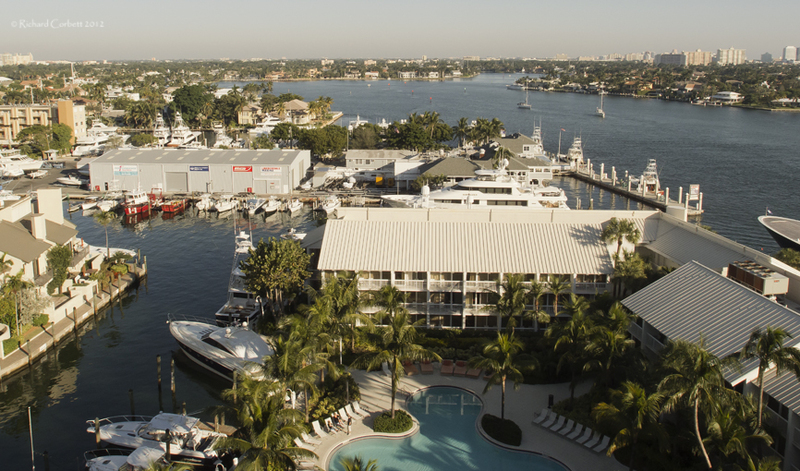 To start, a little panorama of the famous Port Everglades and the 17th street bridge. You wouldn’t believe the number of cruise ships that come in and out of this port. So, time for a quick competition now I reckon. Who knows which hotel this shot was taken from? If you have some pictures you’d like to share let me know and I’ll put them up. Obviously, as the blog is all about being on the water a maritime connection is important but don’t worry if you are not up to professional photographer standard (after all, I’m hardly David Bailey myself) it’s just great to see how you enjoy yourselves on and around the water. If you have a story to go with the pictures, then all the better. Please feel free to comment on any of the posts in the blog – I’d would love to hear all about your adventures. If anyone has any questions I’m happy to answer those too, although I only profess to be any good at leisure boating, so don’t expect pearls of wisdom on subjects like politics, the economy, sartorial elegance or what time of year to prune fruit trees! It just goes to show how lucky we are to be a part of this great world and how much there is to see if you are prepared to go and look for it! If you have anything wonderful like this to share, please send it to me. It could be some type of adventure story or even a video of you and your family on holiday on your boat but whatever it is send to me as soon as you can and I’ll put it in this post for all to see.